If you are thinking of buying a home or refinancing your home mortgage, your credit score has the biggest impact on your ability to get a loan and how low of an interest rates you will pay. 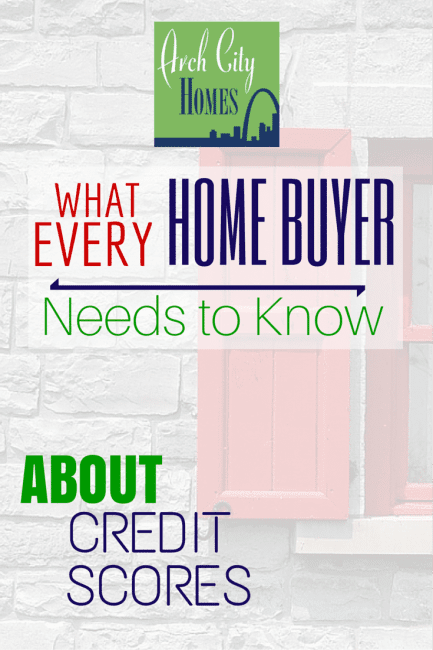 I was recently hired by Credit Karma™ to share information about their company on my other blog and it really got me thinking about how home buyers need to be better armed with information so they can get the best possible loan available. While credit scores have the most influence on your interest rate, the size of the down payment and the type of loan you are getting also affects your interest rate. I’ll be sharing more information about these loan issues next week…sign up for my weekly newsletter so you don’t miss the follow up article! If you’ve decided to buy a home or refinance your home mortgage, the first thing you need to know is if you have a credit score that will qualify you for a good interest rate. In order to get a home mortgage, you need a minimum score of 640. If your score is below that, you need to work on your credit. I went to a continuing education class on credit scores by a local mortgage provider and he shared that a 700 credit score is the minimum for prime lending mortgages. That said, a score of 740 or higher gets you the very best interest rates. 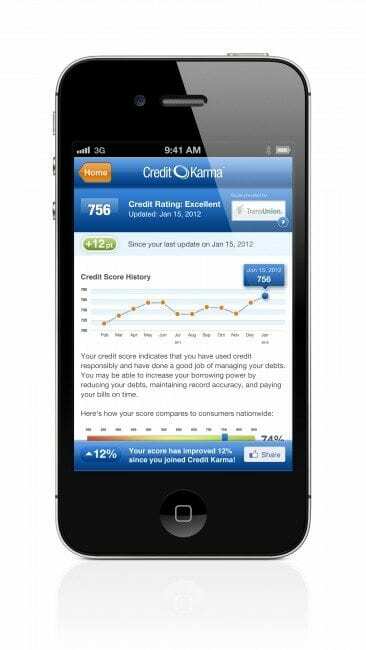 I also recently attended a webinar by Credit Karma™ and they shared that a score of 720 is the cut off to get most financial products with the best rates and lowest fees. Since having a lender check your credit for you will actually lower your interest rate by a few points, you should first check your credit yourself when you are considering buying a home or refinancing your mortgage. You checking your own credit score will not lower your score! I like Credit Karma™ because the other online services where you can check your credit will give you your credit report but NOT your credit score unless you pay a fee. You also have to give them a credit card just to register. Credit Karma™ is totally free and doesn’t ask for your credit card information to sign up. When you sign up, you’ll get your actual credit report AND credit score from TransUnion, one of the 3 credit bureaus that lenders check before giving out a loan. While the scores from Experian and Equifax may vary slightly, finding out your TransUnion score will give you a good idea of where you fall on the credit score spectrum. Once you sign up, you can monitor changes to your credit score weekly so you can see how you are doing as you work to improve your score. I put together a list of tips on my blog post for Credit Karma™ on how I earned a credit score over 800. Take a look at that article to see what you need to do to improve your credit score. I also really like the credit score simulator on Credit Karma™. You can see how your credit score will be affected if you add a credit card, close a credit card, have a lender check your credit, pay down your debt or even have a child support judgement added to your credit report. One last thing I just have to mention, since I’ve seen it kill a home sale recently…. While the lender will check your credit score when you apply for a loan and will approve you for a loan (called loan commitment), the loan approval is contingent upon your credit score not going down before closing. The lender will check your credit score again the day before closing. If you have done something to make your credit score drop…like buying new furniture or a refrigerator…you might lose that loan! Before you make any big purchases for your new home, you really need to use the credit card simulator! 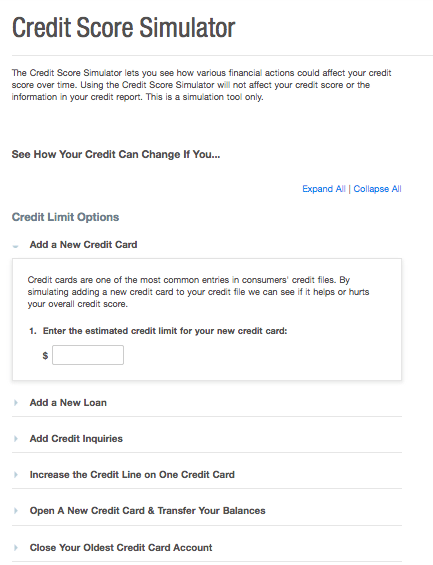 Before you buy new furniture or a refrigerator, buy a car or even close a credit card while you are under contract for a home purchase, you really need to use the credit card simulator first to see how it will impact your credit score. If you see your score go down, then either don’t do it or call your lender to discuss it first!